Note: This event was originally scheduled for Jan. 30 and was cancelled due to the university closing all campuses that day due to inclement weather. It has now been rescheduled to Feb. 27. Michelle Obama went from a straight A student from a working-class family on the South Side of Chicago to corporate lawyer to one of the most influential women in history. Millions across the world have pored through her new memoir, “Becoming,” to read her journey of how she did it. 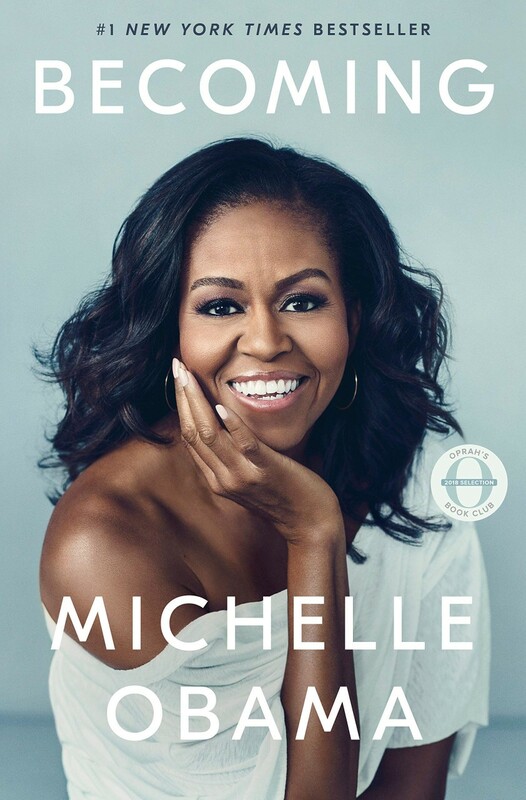 Now members of the University of Cincinnati community can get an even more unique insights into the former first lady’s life lessons on fear of failure, leadership, imposter syndrome, finding and staying true to oneself, relationships and family. 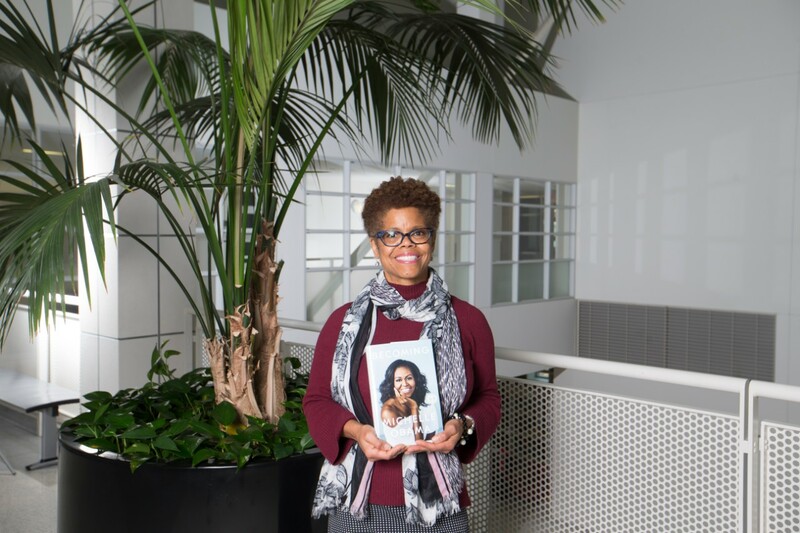 Verna Williams, interim dean of the University of Cincinnati College of Law, will host “A Conversation on ‘Becoming,’” an interactive book discussion on Obama’s memoir, at 12:15 p.m., Wednesday, Feb. 27, in the “Crow’s Nest” on the third floor of the College of Law. And there’s no one more ideally suited to lead the discussion — other than, of course, Obama herself — than Williams, who recorded and helped Obama chronicle her eight years in the White House alongside husband President Barack Obama. Williams’ “secret missions,” as she calls them, placed her in the role of covert oral historian to the first lady. She’d travel from Cincinnati to Washington, D.C., twice a year to extensively interview Obama about key events and activities, sometimes missing her own wedding anniversary in the process. Williams and Obama each share similar backgrounds — both came from working-class backgrounds and, despite stellar grades, were discouraged by guidance counselors from pursuing higher education dreams yet persevered nonetheless — but didn’t meet until they went on to attend Harvard Law School in the mid-1980s. Williams remembers tensing with anticipation as her first-year Harvard law school class waited to pick partners for its moot court competition. When the time finally came to choose, the now interim UC dean made a beeline for the coolest and brightest girl in class: Michelle Robinson. A fast friendship soon blossomed between the two. Robinson lived in a dorm, so the two often hung out in Williams’ off-campus studio apartment where they watched TV and listened to music. Or they’d go shopping, hunting the sales racks for bargains — your basic “girly” stuff, says Williams. “She’d help me pick out outfits. She had style even back then — and I did not,” she said with a laugh. Verna Williams and Michelle Obama pictured here in 1988. 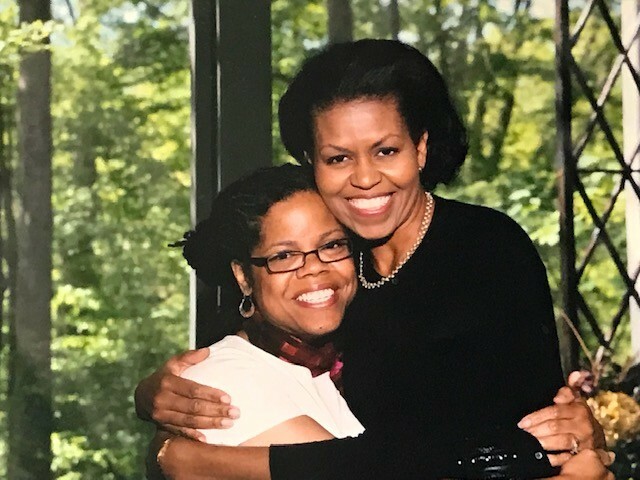 Of course, Williams had no way of knowing in 1986 that her law school buddy Michelle would one day become that Michelle — as in Michelle Obama, one of the world’s most recognizable women and the nation’s first lady. But the Michelle Robinson who Williams met back in law school — “Miche” as she still calls her — and the Michelle Obama the nation has come to know aren’t very different, Williams says. “The country got to see her, her humor. How many first ladies are jumping double Dutch? That’s really who she is. She cares deeply about kids, young people, working out and making a difference,” said Williams. The world got the chance to know Michelle Obama a little more with the publication of “Becoming.” The blockbuster reached No. 1 on Amazon even before it was released Nov. 13, selling more than 2 million copies in its first 15 days, according to publisher Penguin Random House. The book, which is being published in 31 languages, also quickly became the No. 1 bestseller in Britain, Germany, France, Italy, Holland, Spain, Denmark, Norway, Finland and Greece, according to the publisher. While Williams’ interviews with Obama helped provide the chronological firmament for the book, Williams says the book is far more than simply a chronicle of how Obama went from the South Side of Chicago to one of the most influential women in history. It’s how Obama did it and the life lessons she offers that readers, especially young women and women of color, can most benefit from. For example, Williams says that when Obama’s guidance counselor told the promising teen she wasn’t “Princeton material,” a determined Obama applied anyway — and was accepted several months later. “You get to see a person whom you can’t imagine having to prove herself actually having to prove herself. That dynamic is particularly common for a lot of women of color,” said Williams.